European white exteriors and mannequins and chandelier looking through the big windows make your heat race. 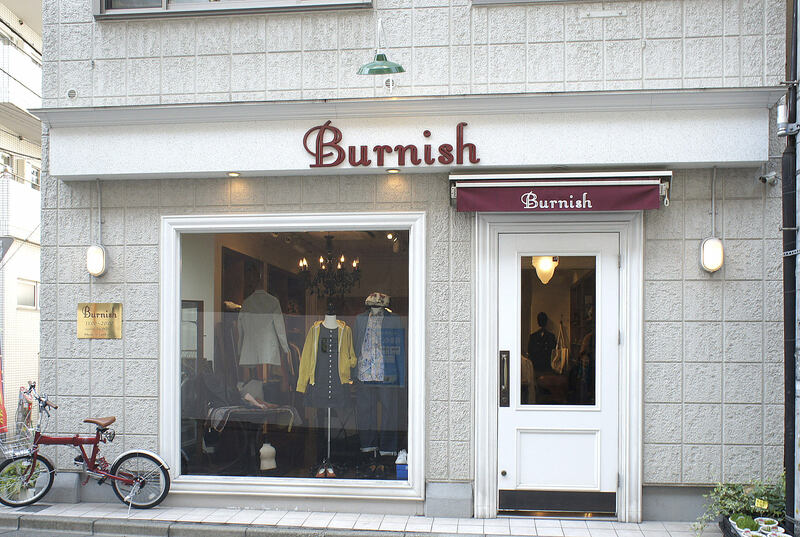 “Burnish” is a select shop which offers fashion items imported from America and Europe as well as domestic items under the theme “Mansion Boutique”. Their wide selection of unique shoes attests to the fact that they were originally a shoes importer. Both men and women can enjoy original total coordination from the bottom up. This shop makes you feel like it is your own closet.